Dan Laughlin called it an "October Surprise." It was this time last year and the administration of Erie's Public Schools was experiencing its most dire financial crisis in the district's history. Facing crumbling infrastructure, rising subsidies paid to charter schools, and an increasing chasm between state funding and the cost of doing "business," administrators thought that to meet minimum operational standards they might have to make difficult decisions, including closing the city's four high schools and busing those students to surrounding high schools. Both the administration and the regional public looked to its legislative delegation in Harrisburg to mitigate, if not outright solve, the problem. The October surprise that provoked the ire of then-candidate Dan Laughlin came when then-State Senator Sean Wiley lauded a $3 million grant he had helped secure for the Greater Regional Erie Athletic Team Training, Inc. — also known as G.R.E.A.T.T. — through the Pennsylvania Redevelopment Assistance Capital Program (RACP). "Sean Wiley has no business boasting about handing out $3 million hard-earned state tax dollars to a well connected few," Laughlin said in a press release last October. "That he did so at a time our public schools are struggling for funds tells us that Sean Wiley's values and priorities are out of sync with his district." As opponents of Laughlin pointed out, the RACP funds could not have gone to the school district. As is true in too much of the state's budgeting process, money for the schools had to come from somewhere else. This money and that money were, well, different money. Dan Laughlin knew that too. RACP is a state-run economic development program that holds as its mission the acquisition and construction of regional economic, cultural, civic, recreational, and historical improvement projects. G.R.E.A.T.T., a 501(c)3 non-profit, has plans to turn the defunct Family First Sports Park into a multi-sport athletic training facility that holds ice hockey as its focal point. G.R.E.A.T.T. had its non-profit status revoked in May 2017 after failing to file required paperwork for three consecutive years. G.R.E.A.T.T. 's president, local attorney Robert Catalde, told local media that the organization had been advised they didn't need to file an IRS Form 990 because they hadn't accepted any revenue during those years. The organization has since reapplied for its tax-exempt status. G.R.E.A.T.T. 's RACP proposal had its shepherds in State Representative Ryan Bizzarro and then-State Senator Sean Wiley. Laughlin's point was that Wiley and company were investing their time and effort, and the state's resources, to support a business plan that had little evidence of succeeding at a time when there was a clear and present need to support the single most important institution of this, or any, city — our public schools. "Public dollars should go to public needs, such as our schools," Laughlin said. "We are constantly being promised that these kinds of grants will create jobs and, too often, they only benefit a select few. Our state tax dollars shouldn't be used to choose winners and losers in the marketplace." State dollars were, in this case, being used to financially support a plan that had demonstrated, in various iterations, that it did not have the support of the market. 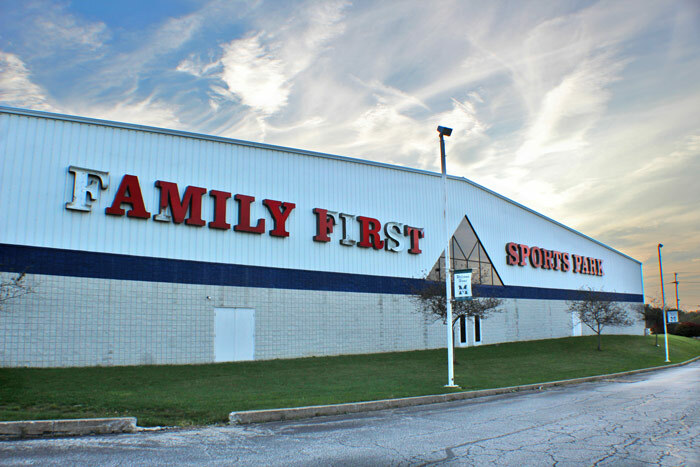 Indoor golf, outdoor recreation, rock walls, and summer camps, all at one time or another failed to sustain the maintenance and operation of the Family First facility. 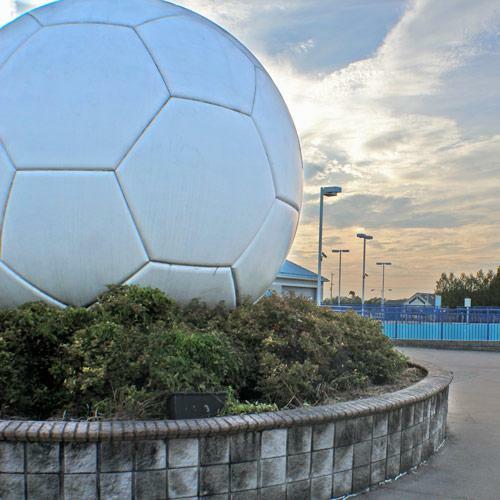 Family First Sports Park opened in 1994 and for a number of years hosted major soccer tournaments throughout the summer months and served a variety of athletic leagues and training camps. But over time, the number of major events coming to Erie dwindled and now to call the facility underutilized would be an understatement. Most involved with the facility during the golden years blame the things they couldn't control for their loss. There was a dearth of competition and hotel prices scaled with increased demand leaving the otherwise inexpensive region out of economic reach for tournament-goers who historically spent multiple days and nights dumping tourist dollars into hotels and restaurants in every municipality from Meadville to North East. By 2005, the park's owner, Gary Renaud, literally could not give it away. He offered Family First to the YMCA of Erie County, but its board of directors voted against the acquisition because the deal Renaud offered included the park's debt of more than $7.5 million. In 2007, Renaud sold his interest to his brother, Glen, who is now in the process of selling the Family First assets to G.R.E.A.T.T. Neither G.R.E.A.T.T. or Glen Renaud has yet to disclose exactly how the debt that prohibited the transfer of power to the YMCA figures into the purchase and renovation of Family First assets. In 2010, park operations were assumed by two long term employees who formed an LLC to operate the facility but ultimately had trouble meeting the monthly rent payments of more than $33,000. One of those operators, Gary Smallshaw, told the Erie Times News in 2015, "If I had it to do over again, I would run 55 miles in the opposite direction." Current debt service estimates in G.R.E.A.T.T. 's $7.6 million Family First proposal have the group paying $29,121 per month over 20 years for the facility, based on $4.6 million in financing and the $3 million RACP funding and additional $500,000 from the Summit Township Industrial and Economic Development Authority. That price tag includes $3.25 million for the property and another $4 million-plus in initial renovations and operating losses as the facility moves toward its projected optimal usage. Total costs of purchase and renovation are expected to reach $16 million. To date, no private investment has been committed to the project. The G.R.E.A.T.T. project has, indeed, received widespread political support. In addition to Wiley and Bizzarro, the project has been endorsed by State Rep. Pat Harkins, Erie County Executive Kathy Dahlkemper, Erie City Councilman Bob Merski, VisitErie President and CEO John Oliver, and the Erie Times News. When the group went before the Erie County Gaming Revenue Authority Board of Directors for additional grant funding, State Rep. Flo Fabrizio told the board, "I know you want to apply numbers to pencil and paper and come up with numbers[sic]...but I can tell you that the impact of this thing is so broad-based, were it not to move forward, it would probably be the biggest mistake that this county has made in my 40 years of public service." Many of these folks got to know the program director and president of G.R.E.A.T.T., Robert Catalde, during the time when he was appointed Erie County Clerk of Courts and Sean Wiley was the Director of Administration for Erie County government. Catalde is also a long-time officer of Erie Youth Hockey, which would be, no doubt, a primary consumer of ice time at the new facility. The anecdotal success of this project is immeasurable based upon the political support G.R.E.A.T.T. has received. But the numbers, those pencil and paper numbers — those are something else, and there are two critical numbers that are necessary to make this project a success: 16 and 124. The proposal promises that a professional third-party rink management group, Rink Management Services Corporation, which manages sports complexes nationwide, will run the new facility. But their ability to manage the rink is contingent upon G.R.E.A.T.T. 's ability to complete the $16 million in renovations it has promised. The G.R.E.A.T.T. argument is predicated upon a renovation plan that first replaces two indoor soccer fields with two indoor hockey pads. But consultants for G.R.E.A.T.T. admit that a stand-alone ice facility will not be supported by the market. That makes the other athletic areas — four gymnasiums, four adaptable baseball diamonds, a wheelchair-accessible baseball diamond, indoor playing fields, beach volleyball courts, a full service restaurant, and a fitness center — critical to the park's success. Without those renovations, G.R.E.A.T.T. could lose its partner and taxpayers will once again be on the hook for their contribution to regional economic development. The second critical number is the 124 post-construction full-time jobs averaging approximately $38,000 that G.R.E.A.T.T. promises to be a result of this development. It was undoubtedly a major factor in securing the state's RACP money and it's the greatest long-term economic impact that the project offers the region. But those numbers are based on maximum local-use and a dozen or more major tournaments returning to Family First. An organization with 124 employees would be one of the largest commercial enterprises in the region. As if sustaining that level of employment isn't difficult enough, there is no guarantee that the park's third party operator would choose to operate by employing salaried labor at that level. I don't want to be uncharitable to this cause, but there's probably a reason most sport parks in America are staffed primarily by retirees and college students. To be sure, a successful venture at Family First would be a welcome win for the region and 124 living-wage jobs doing something so playful is a pretty powerful prescription for the crisis of confidence that often undergirds the community's collective consciousness. Nevertheless, community stakeholders and, in particular, those charged with minding the well-being of the community by virtue of elected office should be asking where the matching private financial interests are in this project. To date, no one is putting skin in the game. The lack of ownership over the project is disconcerting. Even Attorney Catalde's claim that there was confusion about whether or not it had to file an IRS 990 form when it had no revenues to report lacks merit. The directions on the form clearly state that "In general, organizations excepted from filing Form 990 or 990-EZ because of low gross receipts must submit Form 990-N."
G.R.E.A.T.T. continues to seek public funding to leverage the project and to secure additional financing from a bank. At this moment, if the Family First plan succeeds, G.R.E.A.T.T. stands to see a sound return on the public's investment. If it doesn't, only the taxpayers go away without being made whole. In some ways, this all has an air similar to the much-vaunted juice plant that Florida developer Herb Fiss promised in 2006 to bring first to the city of Erie, then to Erie County, then not at all because the state revoked its $3.15 million subsidy package from the project. Or maybe it's more analogous to the 2006 Kohler Brewery Square Project at the site of the old Kohler Brewery on upper State Street. That project absorbed approximately $1.2 million in local, state, and federal money before the Pennsylvania Department of Economic and Community Development stopped disbursing a low interest loan to developers, who to-date have defaulted on repayment of the $500,000 they did receive. The difference is that G.R.E.A.T.T. is developing infrastructure that already exists. If Family First does not have a renaissance as an athletic training facility, what will it become? But if this project has all the makings of a big win for Erie, why is there no private investment? Why is the G.R.E.A.T.T. board of directors — comprised of prominent attorneys and local businesspeople — not establishing a consortium of private investors rather than a 501(c)3 non-profit that is currently backed only by public funds to make this dream of theirs a reality? The answers to those questions might be buried somewhere in the debts that have the current private interests at Family First skating on thin ice.